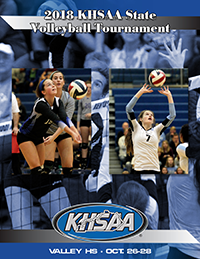 The 2015 KHSAA Volleyball Advanced Officials Camp will be held July 31-Aug. 1 in Lexington in conjunction with the Bluegrass State Games. This camp must be attended once every four years to be eligible for assignment to officiate in region or state tournaments. Saturday – 8 a.m. until TBD – On-court evaluation – two matches (schedules will be passed out Friday night – no guarantee of scheduled evaluation time). Housing is up to each individual. Should you need assistance with dorm housing, you may contact Paula Licato who is with UK Dorm Housing for a discounted rate. Contact her at paula.licato@uky.edu or by calling 859-257-3722.